Get the Angles for 26 Races! Save time and let the One Minute Handicapper (OMH) software analyze the full card at PIMLICO, identifying any of the 23 different betting scenarios/angles for each and every horse. Leave no stone unturned with Frank DiTondo’s OMH software. All files include morning line odds and program numbers. Learn more about Frank’s popular software package here. Get the complete One Minute Handicapper output in PDF! Save time and let the One Minute Handicapper (OMH) software analyze the full card at Churchill, identifying any of the 23 different betting scenarios/angles for each and every horse. Leave no stone un-turned with Frank DiTondo’s OMH software. Get the angles for the entire 12-race card for Oaks. Find out what KY Oaks contender at 30-1 morning line is one of the top ranked OMH betting scenario horses in this great betting race! Both cards include morning line odds and program numbers. Get all the Angles with the 1 Minute Handicapper in PDF! Save time and let the One Minute Handicapper (OMH) software analyze the full card at Gulfstream Park, identifying any of the 23 different betting scenarios/angles for each and every horse. Leave no stone un-turned with Frank DiTondo’s OMH software. Each full card report is only $3.50. Save time and let the One Minute Handicapper (OMH) software analyze the full card at Gulfstream Park and Santa Anita, identifying any of the 23 different betting scenarios/angles for each and every horse. Leave no stone unturned with Frank DiTondo’s OMH software. Only $3.50 per full card. Save time and let the One Minute Handicapper (OMH) software analyze the full card at these popular winter tracks, identifying any of the 23 different betting scenarios/angles for each and every horse. Leave no stone unturned with Frank DiTondo’s OMH software. AQU, GP and TAM files below include morning line odds and program numbers. Only $3.50 per full card. Santa Anita – Saturday, March 16 – incl. morning line odds & program numbers! Get the One Minute Handicapper in PDF! Save time and let the One Minute Handicapper (OMH) software analyze the full card at Gulfstream Park, Tampa Bay Downs and Santa Anita, identifying any of the 23 different betting scenarios/angles for each and every horse. Leave no stone unturned with Frank DiTondo’s OMH software. Click here to learn more about the powerful One Minute Handicapper program and book. Save time and let the One Minute Handicapper (OMH) software analyze the full card at Gulfstream Park, identifying any of the 23 different betting scenarios/angles for each and every horse. Leave no stone unturned with Frank DiTondo’s OMH software. Only $3.00 each per full card report. Gulfstream Park worksheets for Saturday, Feb. 9, 2013 – includes morning line odds and program numbers. Play the $1.8 million Jackpot Six on Donn Handicap day! 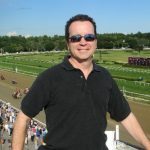 One Minute Handicapper for Gulfstream Park & Santa Anita – Week of February 6, 2013. In case you haven’t heard, there is a $1.4 million Jackpot Six carryover at Gulfstream Park. This is a dime bet and it requires the lone winning ticket in order to claim the monster jackpot. Save time and let the One Minute Handicapper (OMH) software analyze the full card at Gulfstream Park or Santa Anita, identifying any of the 23 different betting scenarios/angles for each and every horse. Leave no stone unturned with Frank DiTondo’s OMH software. OMH Worksheets – Gulfstream Park for Wednesday, Feb. 6, 2013. Includes morning line odds and program numbers. Gulfstream Park worksheets for Friday, Feb. 1, 2013 – includes scratches, morning line odds and program numbers. Play the $1 million Jackpot Six! Gulfstream Park worksheets for Saturday, Feb. 2, 2013 – includes morning line odds and program numbers. Tampa Bay Downs worksheets for Saturday, Feb. 2, 2013 – includes morning line odds and program numbers. Save time and let the One Minute Handicapper (OMH) software analyze the full card at Gulfstream Park & Santa Anita for Monday’s holiday racing, identifying any of the 23 different betting scenarios/angles for each and every horse. Leave no stone un-turned with Frank DiTondo’s OMH software. OMH Worksheets for Monday, Jan 21 at Gulfstream Park – only $3 – includes scratches!